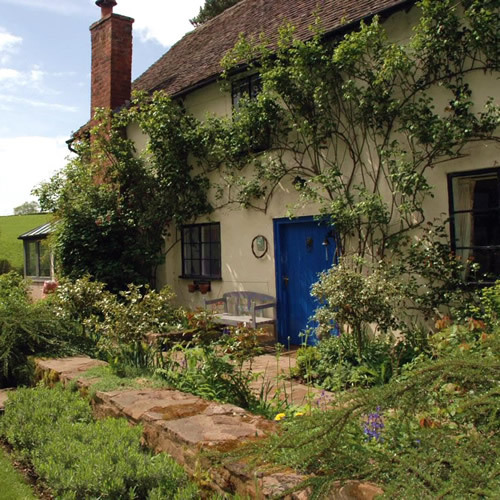 Welcome to Brook Farm, a farmstead dating back to around 1550, located on the Shropshire / Worcestershire border. We’re just a couple of miles from the riverside town of Tenbury Wells and a ‘stone’s throw’ from historic Ludlow, with its famous restaurants, markets and festivals. Our farmhouse and holiday cottage are tucked away in their own valley, surrounded by nine acres of beautiful garden, wild woodland and meadows and a babbling brook. It’s idyllic! If you’re looking for somewhere really special to stay, Hop Pickers’ House is our gorgeous self-catering holiday cottage, a refurbishment of the old travelling hop-pickers’ barn accommodation. It’s what we call ‘lustic’ – rustic and full of charm, but in a luxurious kind of way – with a lovely farmhouse kitchen, plenty of space to relax by the woodburner, and a fabulous bedroom upstairs with a king-size, four poster bed. It’s a perfect little spot for a relaxing break or exploring some of the prettiest towns and gardens in the country. Hop Pickers’ House has been listed as one of The Times’s 50 best cottages and rural retreats. We’re also one of Sawday’s Special Places to Stay, featured on Romantic Retreats - and winners of Best Self-Catering in the Visit Worcestershire Awards for Excellence 2018. Take a look at the pictures and you’ll see why! And if you’re looking for an intimate, exclusive, beautiful rural garden setting for your civil partnership, wedding, vow renewal, anniversary or other celebration – with close family and friends - Brook Farm is perfect! Check out our Celebrations page for more details. We love Brook Farm and our local area – and we know you will too. We really look forward to welcoming you. We've really enjoyed our stay in this beautiful, idyllic, peaceful location. It really is an amazing place! What a treat. Such a romantic place - tastefully decorated and impeccably clean. Loved the cottage, the bed, the duvet, the bathroom, the settee, the garden, the hosts.....Did we mention the bed? So comfortable! What a magical place! A gorgeous, characterful property with a very romantic feel, in the middle of a picturesque part of the country. 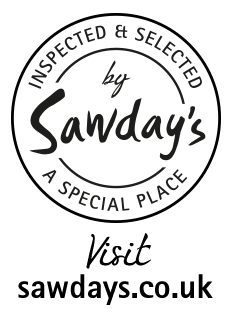 Read more reviews on TripAdvisor and Sawday's. Follow us on twitter (@stayatbrookfarm) for details of offers.